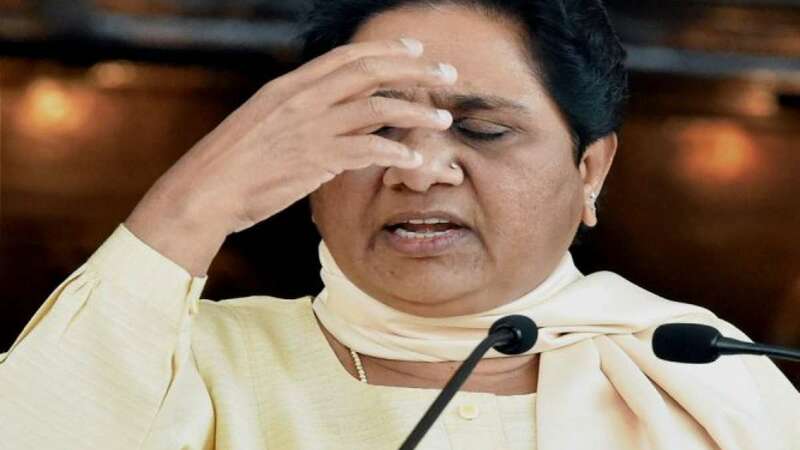 New Delhi : The Bahujan Samaj Party (BSP) chief Mayawati today targeted the Congress saying it is no different from the Bharatiya Janata Party (BJP) in its governance towards the minority group. She condemned arresting Muslim men under the National Security Act (NSA) in Congress-ruled Madhya Pradesh and imposing sedition laws on university students in Uttar Pradesh which is ruled by the BJP. On 12 February night, 14 students of Aligarh Muslim University (AMU) students were held for sedition in Uttar Pradesh for allegedly raising anti-national slogans. Earlier this month, three Muslim men were jailed under the NSA for allegedly killing a cow in Madhya Pradesh’s Khandwa. Mayawati’s attack on the Congress has follows what is being seen as an outreach by her new supporter, Samajwadi Party President Akhilesh Yadav recently said that his party is in alliance not only with the BSP but also with the Congress. Now, this is in contrast to the mentioned position of Mayawati. Akhilesh Yadav and Mayawati announced the SP-BSP collaboration for the Lok Sabha election in Uttar Pradesh last month. The two parties agreed to match 38 Lok Sabha seats each in the state while maintaining that they would not put up candidates at Amethi and Rae Bareli, the parliamentary constituencies represented by Congress president Rahul Gandhi and UPA chairperson Sonia Gandhi. The Samajwadi Party President’s outreach followed appointment of Priyanka Gandhi Vadra as the Congress general secretary in-charge of Uttar Pradesh East. Many people believe that her appointment in the party will be a game changer in the upcoming Lok Sabha Polls. Some reports also suggest that Priyanka Gandhi is open to giving back Akhilesh Yadav’s outreach to the Congress party provided the SP-BSP alliance agrees to offer the party more seats. She had played a key role in 2017, when the SP and the Congress joined hands to contest UP assembly elections against the BJP. The tie-up did not came up with good results in the polls as the BJP won a huge majority in UP.